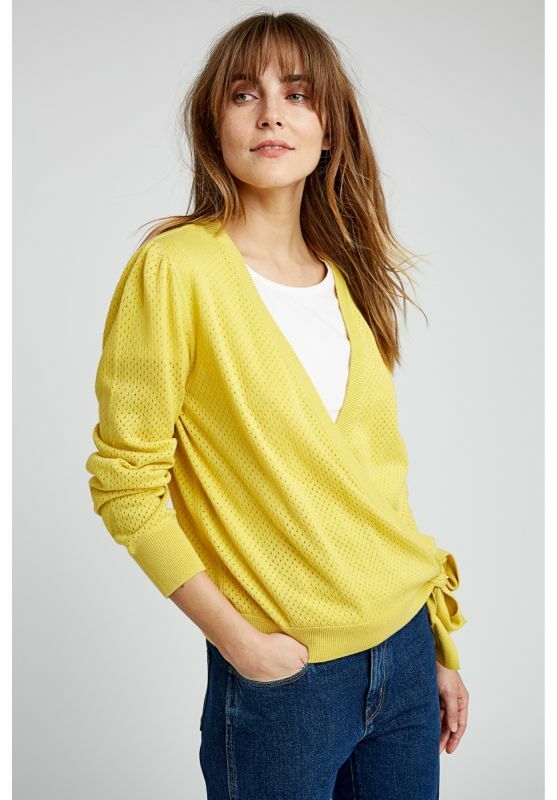 Style: A classic wrap cardigan in a vibrant golden hue. Knitted from 100% Organic cotton making it suitable for vegans, this piece has long sleeves and a deep v neckline. The deep golden shade goes with navy as well as more vivid hues.